The SALOON is a network for women working in the art scenes of Berlin, Hamburg, Paris and Vienna as curators, artists or journalists, as well as in galleries, museums or universities. The SALOON considers itself a non-profit-oriented network for women working in art. Its aim is to create more visibility for female protagonists in the art scene, create new projects, exhibitions or other forms of cooperation. Independent curator and writer Tina Sauerlaender (peer to space) founded the SALOON in summer 2012. She has been running the SALOON together with the artists Ornella Fieres (ornellafieres.com) and Julia Herfurth (julia-herfurth.de). More information about the SALOON Team is here. 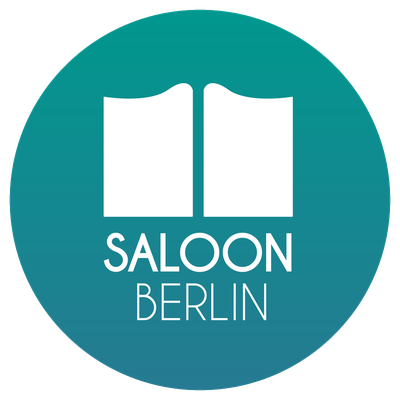 The SALOON organizes public SALOON Events in Berlin, like the event series Why Have There Been No Great Women Artists? * in cooperation with Performing Encounters or the event Invisible To Whom? Not To Me in cooperation with Distinguished Diva Collective at Literaturhaus Berlin. In 2015, Alina Heinze and Tina Sauerlaender curated the exhibition SALOON at SEXAUER Gallery in Berlin, presenting the artists of the network. More information about the public SALOON Events you find here. The SALOON informs the public about the events of its members on the SALOON Blog, its Facebook-Account and on Instagram. The name refers to the former male domains of the Salon de Paris and the Saloons of the Wild West. The monthly internal SALOON Meetings pick up both ideas: Members present their works, projects and exhibitions or they visit renowned artists, curators and other protagonists of Berlin’s art scene. The subsequent dinner together functions as interpersonal exchange. More information about the internal SALOON Meetings you find here. Further, the SALOONs organize the SALOON Exchange Program that annually takes place in each SALOON city.